Was you thinking about hiring a Tree Surgeon in Lewisham? GraftinGardeners have worked in arboriculture for a long time and are experts when it comes to tree care. We have tree surgeons in SE13, Kensal Rise and surrounding areas, providing an extensive range of tree surgery services, all at reasonable prices. Our three teams consist of climbers, groundsmen and arborists and handle all work to a professional level. 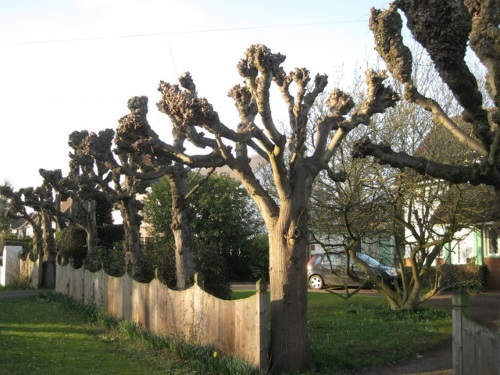 GraftinGardeners are expert arborists and have tree surgeons operating in Lewisham and surrounding areas. We are South West London based and have been providing our tree services since 2008. We always aim to provide an efficient service at reasonable prices and carry out all works with precision and care. If you require tree surgery in SE13 or Kensal Rise, call us today. We will send a tree specialist to visit your home and provide you with a free quotation on all your tree works. DIY tree felling is not recommended as you can get seriously injured it all goes wrong. Felling is a job that’s best left to the professionals. Our tree surgeons can remove any trees, regardless of size and shape. We bring trees down by means of sectional and straight felling (with sufficient space) and do so in a safe and controlled manner, ensuring nothing gets damaged. 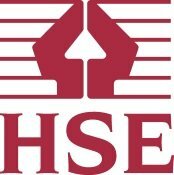 We also follow UK Felling safety laws for the safest possible fell. DIY tree pruning should be avoided where possible. Making incorrect cuts can leave a tree open to infection and other tree pests. It is advised to seek the opinion of a professional first, before carrying out any pruning. 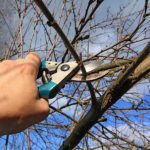 Before making any cuts, we will first asses trees to determine the best pruning methods. Our tree surgeons cut, trim and shape to the optimal standards by following the guidelines set out in the British Standards (BS 3998), ensuring your trees re left in a healthy and well balanced state. Need a tree stump gone from your premises? If you have an old or unwanted tree stump on your property and would like it removed, GraftinGardeners are the company to call. Our tree surgeons are fully equipped to carry out stump removal operations and could have yours out in under an hour. We will grind the stump out with our grinder, fill the reaming hole in (with mulch or soil), and compact the ground to an even level. We always leave a tidy site after completed works. Has a dead or damaged tree fallen on your property? Need it removed fast so you can get on with your life? If you’re unfortunate enough to have a fallen tree on your property our company can remove it. We have seen and dealt with many tree emergencies and know what it takes to remove a fallen tree. We will come in, secure the affected area, remove the fallen tree, and clear any mess left in its path. Our emergency tree service is open 24 hours a day, 365 days a year, so call us if you need us. Untrained ivy will cause damage to exposed bricked and joints, roof tiles, paintwork, woodwork and all sorts of structural elements. If you need ivy removed fast, we can help. We remove ivy form the source to make sure its stays gone, by taking the roots out, laying down herbicides and burning any ivy waste. We also offer an ivy and climber maintenance service and can cut, trim and shape it to your exact requirements. Want to add a new tree to the garden? GraftinGardeners have been plating trees and shrubs for over 15 years and know how to plant trees safely. We can plant or relocate any trees and even source the best specimens for you. 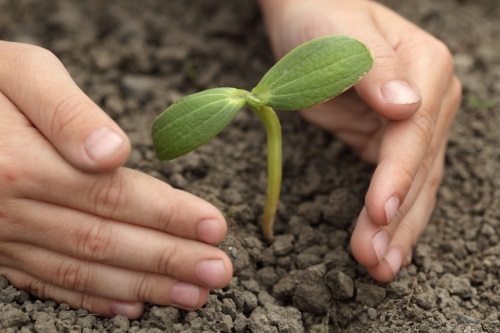 We will plant your new tree in an optimal location and will advise you on tree aftercare as well. Whatever your requirements, we can help. Do you need your hedges trimmed? Trust GraftinGardeners to get your best hedges looking fresh, with our hedge trimming service. Our tree surgeons can skilfully craft and shape any hedge! We can transform messy shrubberies, giving you that fresh cut feel. From box hedges, to hedgerows and conifers, nothing is too big or small for our company. Pollarding should always be carried out by a professional tree surgeon as it is intense work and needs to be carried out with precision and care. It is the cut back of all branches in the upper most part of the tree to help promote new growth and denser foliage. It is used to contain species such as willow and polar and is a suitable method of pruning for these species. If you need a tree pollarded, contact us today.